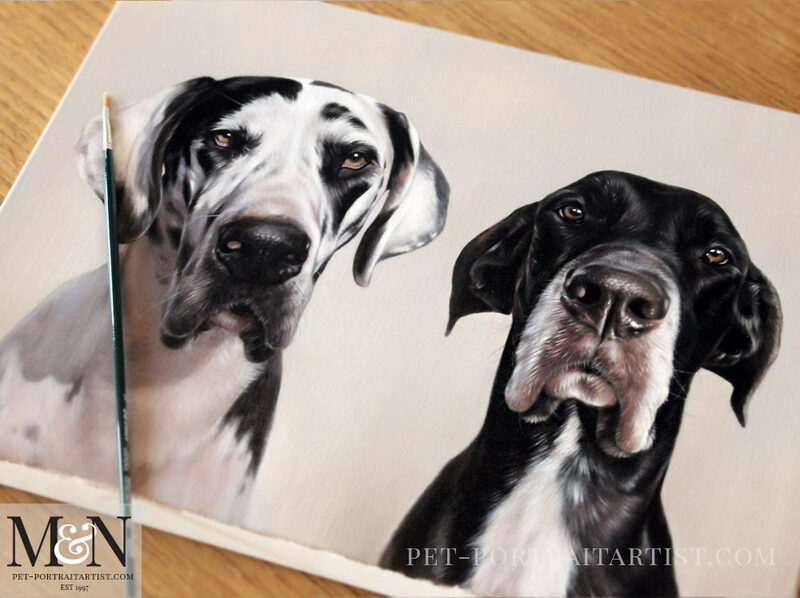 Welcome to our latest Great Dane pet portrait. 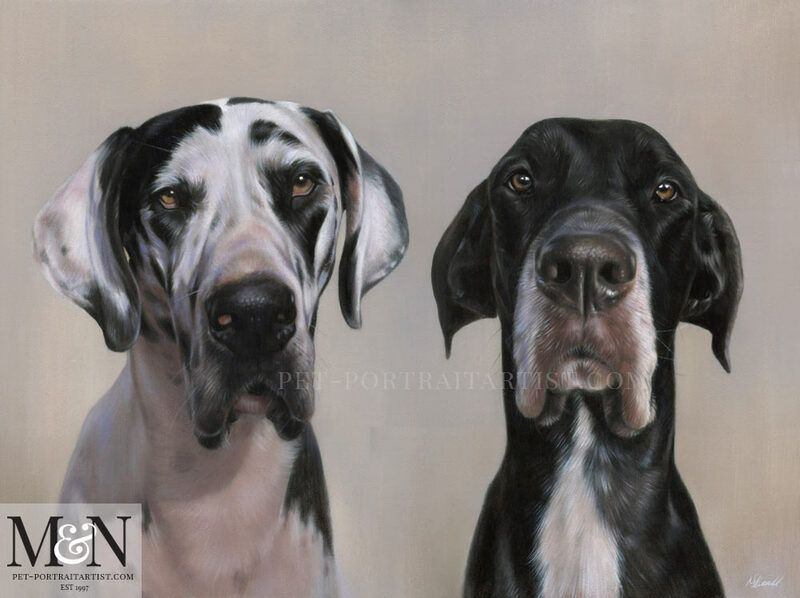 Jennifer, from Florida USA, emailed to see if we would be able to create a painting of her two Great Danes. She wanted to commission it as a birthday gift for a her husband. We were delighted and asked Jennifer to send photos of her dogs, along with ideas of the kind of portrait that she wanted. Jennifer requested a 16 x 12 oil painting and sent a number of head and shoulder photos which were perfect for an oil painting. We chatted about the colour scheme Jennifer wanted and she opted for a light grey and cream to work with her home decor colour scheme. It’s absolutely beautiful, actually made me tear up. He is going to love this more than you know. When the portrait was complete, we sent the final scan to Jennifer for her approval. We also took a few photos of the portrait on our plan chest in our art studio with one of our paint brushes to help show scale. Jennifer also emailed during the middle stages. We always send stages of the portraits via email so that our clients can be part of the process. We really love hearing their feedback and comments about the portrait at the various stages. These are amazing, I can’t believe how talented he is. I could not love this more.